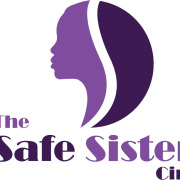 The Safe Sisters Circle is a women of color founded and operated organization that provides free holistic and community based services to young Black women who are survivors of domestic violence and/or sexual abuse in Washington, DC's Ward 7 and Ward 8. The Safe Sisters Circle’s clients will benefit from legal services, healing services, and skills development programs that will help them create a healthy, independent, and successful life path for themselves. The Safe Sisters Circle will provide these services along with addressing the various barriers our clients face as a result of their past trauma as well as our clients’ disadvantages based on their cultural, ethnic, social, and/or sexual identities. Right now we are planning to start legal and therapy group/healing circles in late December/early January. We are looking for volunteers family law attorneys, therapists, and security officers. Additionally, if anyone knows of any free open space located in DC's Wards 7 and 8 for therapy groups, please let us know. SAFE SISTERS CIRCLE accepts donations. Donate Now. Would you recommend SAFE SISTERS CIRCLE?